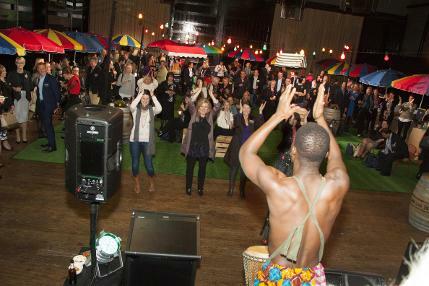 A corporate event with a difference! Undulating torsos, flips through rings of fire, raw energy, exhilarating dance moves and phenomenal acrobatics. Spice up your next event with a performance or workshop from Asanti Dance Theatre. 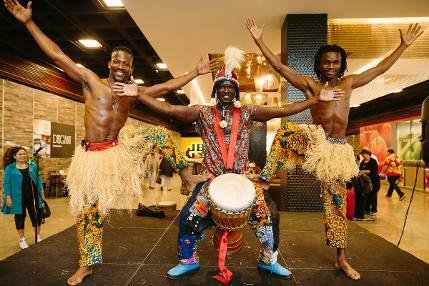 Through the power and unity of West African music and dance we work closely with you and your team to ensure your staff and delegates are inspired, invigorated and energised by our involvement in your event. Catering from 5 - 2000 participants we present a range of different performance options including live music, dance and acrobatics. 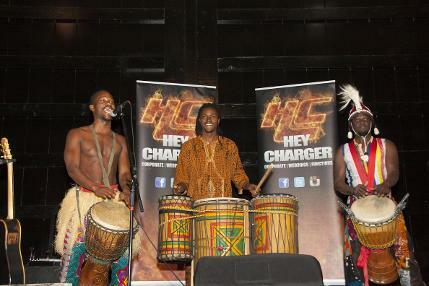 We also host a range of drumming and dance workshops which are a fantastic way to start, end or spice up your event. Our professional and experienced facilitators create a safe, supportive and inclusive environment for your staff and delegates engage in our workshops. These sessions are known for their fantastic team building and ice breaking properties and are a great addition to any event. With over 15 years of experience you can be sure that Asanti Dance Theatre will provide you with a world class experience that won't be forgotten.